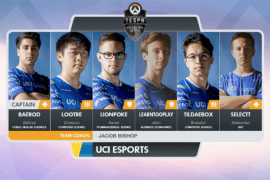 After upsets for many prominent teams in Blizzard Entertainment’s Heroes of the Dorm collegiate tournament, the top-ranked UCI Dream Eaters survived the pressure to take down team Crimson Gaming from the University of Utah last week. The Dream Eaters advanced with a clean 2-0 victory and now move on to the round of 16, where they’ll compete against the Snow Frogs from the University of Quebec at Trois-Rivières. Dream Eaters tank player Loc Tran described the squad’s mindset before the match against Utah: “All the upsets before the match didn’t really scare us. It didn’t change how we play, and that was the key to beating Utah. We stayed consistent to our game plan, confident that we were the stronger team.” Competing for the biggest prize pool in collegiate esports, UCI will next play on Wednesday or Thursday. 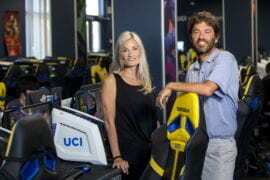 Match updates are available through UCI Esports’ Facebook and Twitter pages. The tournament is being streamed for free on Twitch.